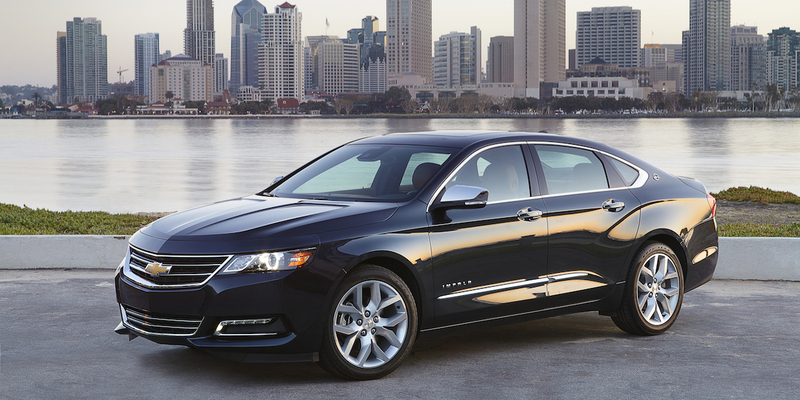 Impala delivers modern-day refinement and high-tech features with traditional big-car space, and the broad range of models and options means it’s relatively simple to equip one to fit your tastes and budget. The steeply sloped roofline cuts into rear-seat headroom and the rear roof/door pillars compromise over-the-shoulder visibility. The Impala is one of the few North-American-market vehicles to offer an engine capable of running on compressed natural gas (or CNG). 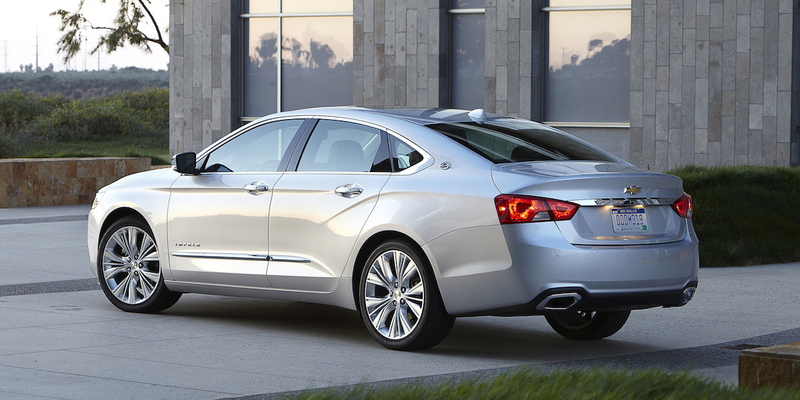 The Impala is Chevrolet’s mainstream flagship sedan. It is available in base LS, mid-line LT, and high-end LTZ variants. It was redesigned last year on a larger platform shared with the Buick LaCrosse, which moved it from our midsize-car class to the large-car category. 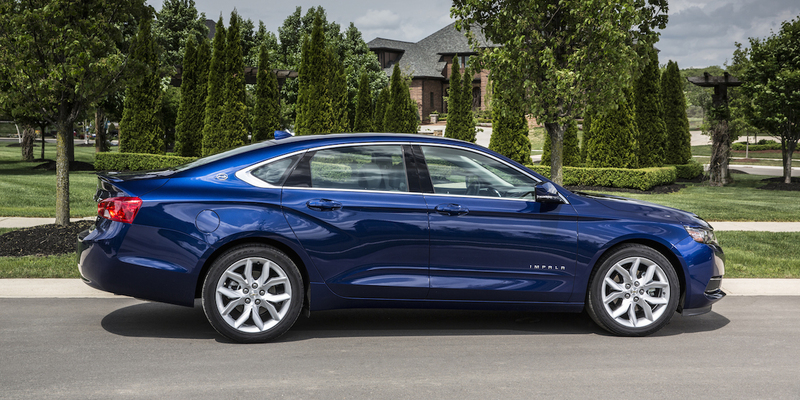 Unlike the LaCrosse, Impala is not available with all-wheel drive. Among Impala’s many available features are remote start, active noise-cancellation technology, voice command, and extensive safety features such as blind-spot alert, lane-departure warning, and adaptive cruise control with collision-mitigation braking. 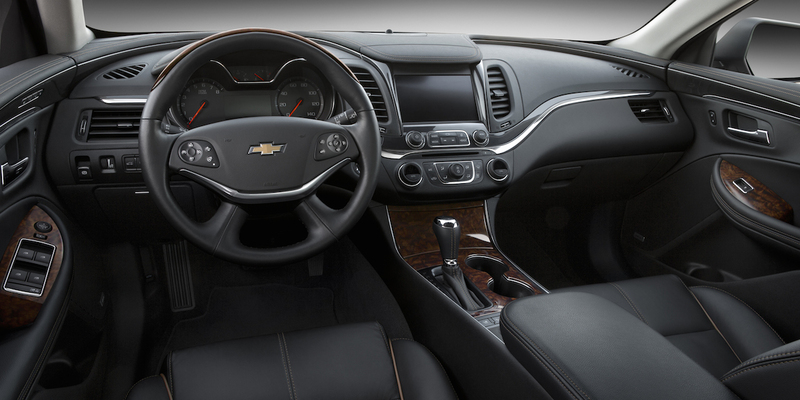 For 2016, Impala gets Apple CarPlay capability, wireless device charging capability, and a Midnight Edition appearance package for V6-powered LT and LTZ models. EPA estimated figures are 19 mpg city, 29 mpg highway for the V6; 22 city, 31 highway for the 2.5-liter 4-cylinder; and 17 city, 25 highway for the bi-fuel-capable V6. All Impalas, V6 or 4-cylinder, run on regular-grade gas. 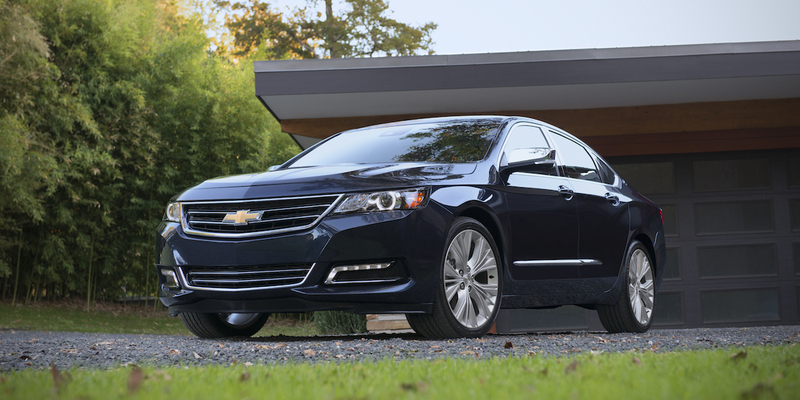 In Consumer Guide® testing, an Impala LTZ averaged 21 mpg in a slight majority of city driving. Impala strong points include one of the most powerful V6s in the class, good passenger room, a pleasing ride, and a high level of quiet. The availability of a naturally aspirated 4-cylinder engine is a plus for shoppers more interested in fuel economy than power. The best value probably comes from the mid-level LT, which, when optioned to the gunwales, still comes in a few hundred dollars below the starting price (with delivery) of an LTZ.